Recently, two exciting things have happened! I have just republished a new edition of Sons of the Wolf and I have embarked on a new venture. 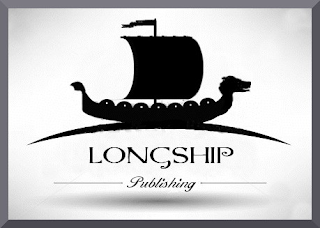 Since taking a less active role as blog coordinator for The Review, I have joined forces with some like-minded people to create a supportive virtual environment called Longship Publishing. We are a small group of 5 authors and an editor learning her craft, who have come together to support one another in the creations and marketing of their books. So far, we have not moved the earth, but we hope one day that our little company of friends will be doing some great things. I have always wanted to write for a living, although that ambition was always like a pie in the sky for me. I had trouble with my self-confidence and before the new millennium,I would never have learned to sit a type writer. Typewriters baffled me, and I had this fixed belief that no one would accept a handwritten copy. I think that's not necessarily true now, but at the time I thought it was. 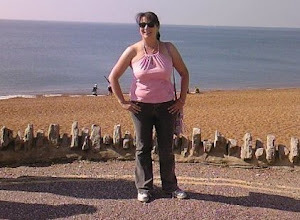 Anyway, I also developed some mental health issues which also prevented me from realising my dream, along with bringing up my gorgeous family and then when my life reached a turning point, I chose to sort myself out once and for all, and embarked on a journey that saw me at college and then at university where I trained to be a nurse. During that time, I rediscovered my love of reading and wondered if I could write a book - the thing that I had always wanted to do and had been pushed to memory. With me learning to use a computer, I suddenly realised, I can do this! And so it all began. I had to, of course, find the right subject, and there was never any question that it would be anything other than historical. So I read various books for inspiration and stumbled across Helen Hollick's superb book, Harold the King, a re-enactment at Battle abbey.. I had been interested in the dark age period before, when I was much younger, and had read about the tragedy of Harold and the events of 1066 with great enthusiasm. As time went by, I became immersed in the later medieval period and had almost forgotten about this lesser known, but extremely passionate, period in our history. Helen's book relit the the '1066' candle inside my brain and I found another book, David Howarth's wonderful, easy to read, book 1066: The Year of the Conquest. His book was my biggest inspiration. Hollick's book had ignited the spark, but Howarth's fanned the flame into a hot burning fire! For it was in this book by Howarth, that I discovered my two protagonists, Wulfhere and Helghi. Men of 1066, whose lives could only have been imagined that year, for their only legacy to history was what they owned and where they lived s according to the Domesday Book. And so my first novel was born, Sons of the Wolf, it has become the first in a series of novels about the events before and after the Battle of Hastings. I had first published with SilverWood books in 2012, an assisted publishing company, and it was a very costly experience. As time went by, I became increasingly unhappy with the edit and the cover, and the return I was getting on each book. There were other things that I was dissatisfied with being an author of an assisted publishers, and so, I decided I would remove my book from their list and decided to go it alone. I had been working on the sequel since before Sons was published, as it had been one long book. I'd had to cut it in half because 250,000 words was considered a tad long for a first book and would have been very expensive. Well I had been very naive back then and should have looked into the various ways of producing a book and shopped around. I am ashamed to say now, that I had been quite snooty about selfpublshed books and had wanted to produce a book that looked like it belonged to mainstream, and my book certainly had that appeal, thanks to SilverWood. But it cost a fortune, and in my naivety, I thought I could get my money back to fund The Wolf Banner with them. As I said, I was very naive, and thought I could make it. But I didn't. I soon realised that in order to make my money back to fund Wolf Banner, I was going to have to sell thousands just to make a few hundred quid, and for someone who did not have a fan base,and was largely unknown, it wasn't possible. I had a full-time job, I couldn't find the time to work on The Wolf Banner and market. 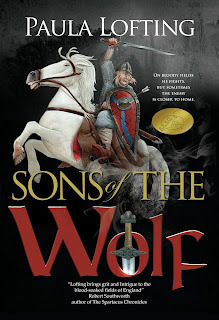 So Sons of the Wolf and The Wolf Banner had to be published by myself, with me only out-laying the edits and the cover designs. So, Sons of the Wolf is republished now and The Wolf Banner is in the final editing stage. 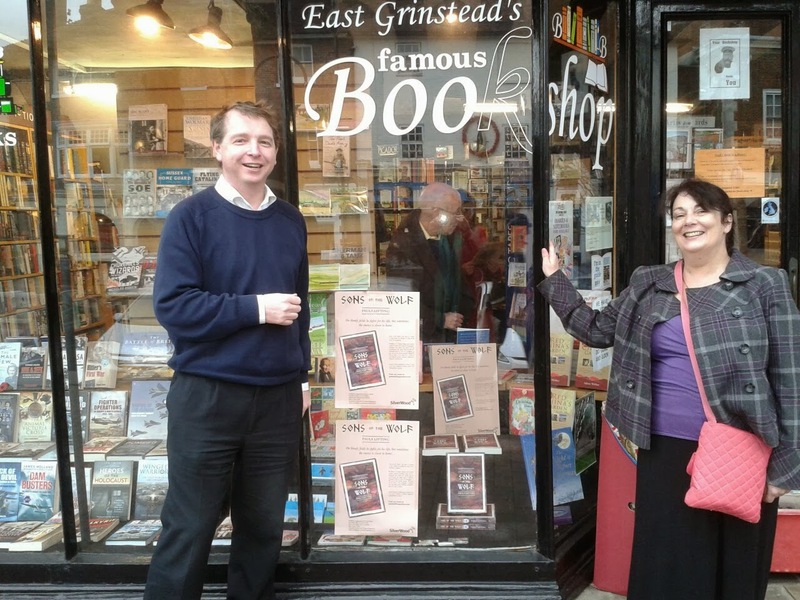 At last I have a book out to be proud of , with a better edit and a new design. The sequel The Wolf Banner is due out for May. I'm still active in our Facebook group The Review and still a reviewer for it. It's been a great project to be part of and always will be my baby, after all, I created it :), but the real thing in my life is writing. I want to write and have the time to write, and although I love my job as a nurse, I would dearly love my full-time occupation to have something to do with books and hopefully with Longship, there will be many seas sailed!